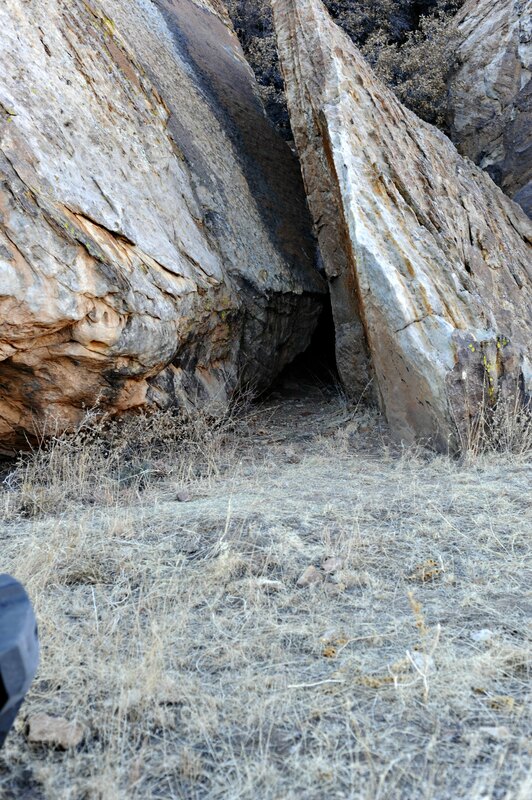 Some of you read my recent ranch series and you understand my fascination with the petroglyph cave at the New Mexico ranch. Do you remember the movie Close Encounters of the Third Kind? How Richard Dreyfuss was so obsessed with the importance of a particular butte that he sculpted it in his mashed potatoes at the dinner table? This is how I feel about the rock art. I’m compelled to make Valentine’s Cookies from these shapes. My mind refuses to let go. A quadruped. That’s glyph-speak for a four-legged creature. I contacted a scientist involved in dating the oldest petroglyphs in the United States. He wasn’t certain, but he thought the rock art could be attributed to the Hopi or Zuni. He asked me to contact another expert in Hopi/Zuni petroglyphs. 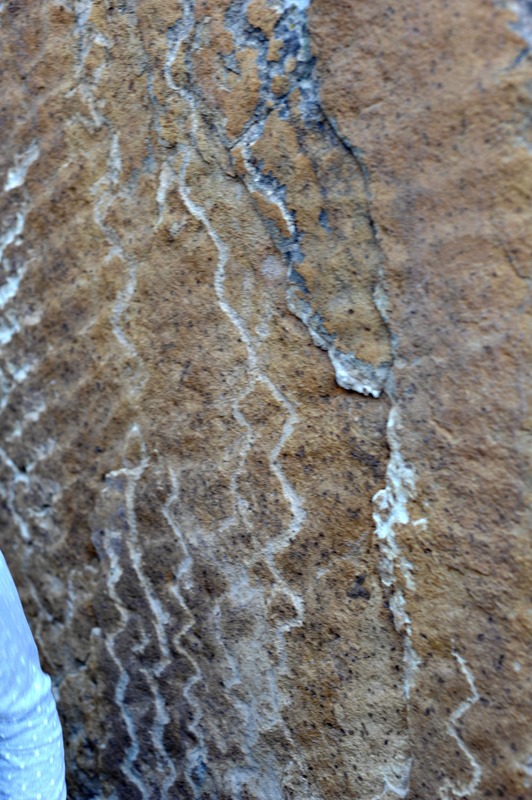 I shot off an email to the distinguished Ekkehart Malotki from Northern Arizona University and asked for assistance in identifying the source and time frame of this rock art. I received a very kind email response from Dr. Malotki. The glyphs are not of Zuni or Hopi origin….he is certain. 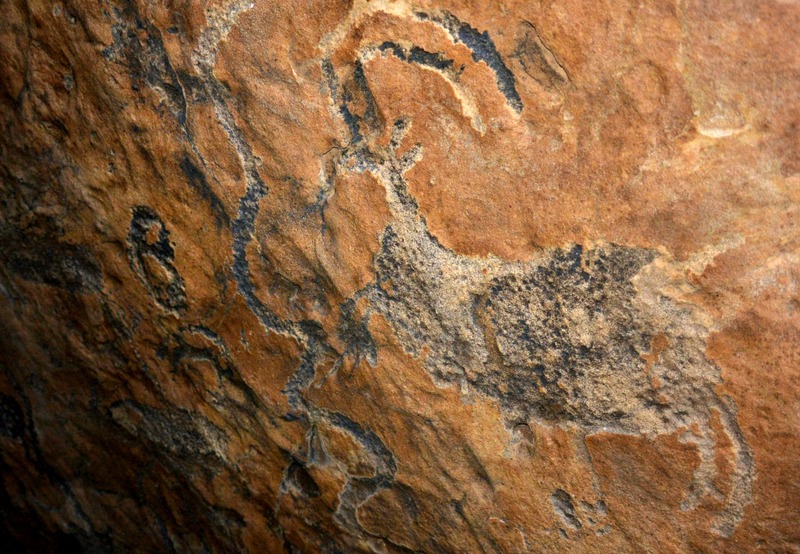 The rock art in the cave is prehistoric. Prehistoric? Do you know how that word stirs my gray matter? What does that mean? Dr. Malotki defines it as before the first Spanish explorers visited that portion of New Mexico. How much before? I don’t know. If you are interested, here is his email to me in it’s entirety. Dear Kathy—Sorry for my delayed response. My PC was in “intensive care” for a while, so actually felt cut off from the world. I’ve never been in that part of NM where your ranch is, but I can say with certainty that the petroglyphs have no affinity to typical Hopi or Zuni rock art. They are far too far removed from their ancestral lands. They also are not archaic, but most likely prehistoric (which would mean before the coming of the Spaniards). The zigzags are totally unpatinated, so they could actually be historic. The dark color in some of the glyphs may actually be due to a lichen that has invaded the disturbed (that is, engraved) areas. But I would have to actually inspect the glyphs to make that determination. Some elements, like the quadrupeds are identifiable, but as cultural aliens we have no idea whatsoever what they meant to their creators. A pretty safe assumption, however, is that there were made in the context of some ritual, hoping by MAKING them for some positive outcome in matters that was of great concern to the person (or group). There is a book on the “Rock Art in New Mexico” by Polly Schaafsma. Check the pages 138-147. They deal with rock art in your part of NM. Who wants to place bets on how many books by Polly Schaafsma I will purchase? Should I email her? What difference does it make? 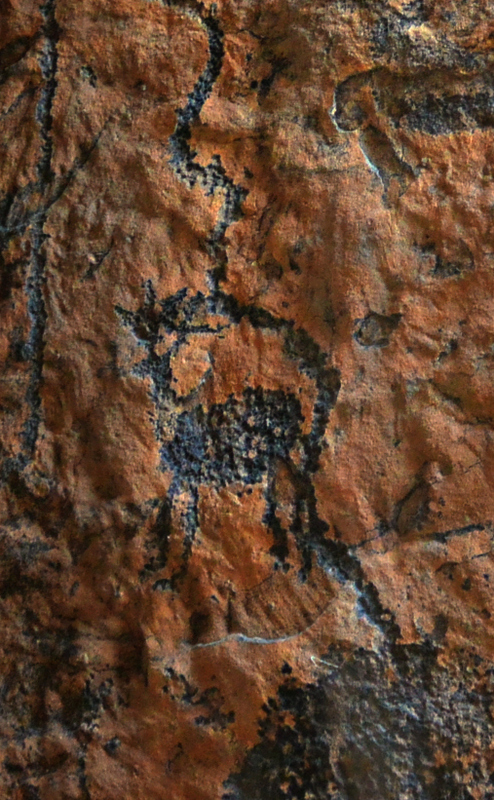 Another shape in the cave rock art. Anyone besides me think this is a phallic symbol? Why is the deer on the right laughing? Wouldn’t want to be caught sculpting this in my mashed potatoes during a dinner party. Nobody would believe I’m really just interested in pre-history.